Tony Ross celebrates another win. He was one of the hot shoes at Florida City during its later years. Brady Mason was the man to beat in the 1960's. This was a little before my time, so unfortunately I never got to see him run. However, I know he was a hard racer, yet well liked and respected by all. George DeWald pulls the brake and drives his # 16 deep into turn 1. George is a veteran of the old SFRA days at Hollywood Speedway, the Homestead Rodeo grounds, and FCS of course. Currently he lives in Boise Idaho and often visits this site. Giving chase in the # 9 is Gil Turner (I think). 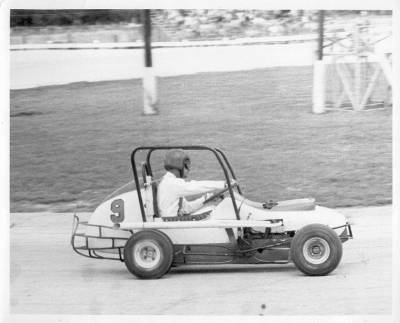 This young driver was Gary Smith. He was a hard charging winner, who deeply loved the sport. 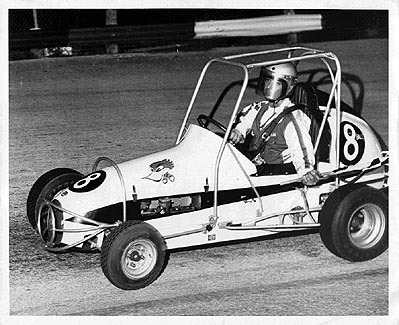 He raced in the era before roll cages and adequate driver protection. 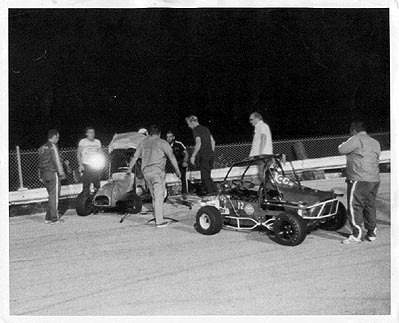 As a result, Gary was the only fatality at the Florida City Speedway. 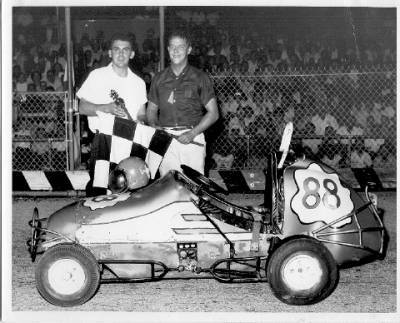 After his accident, the track closed for a year, but when it re-opened, his dad "Smitty" stayed on as the starter. 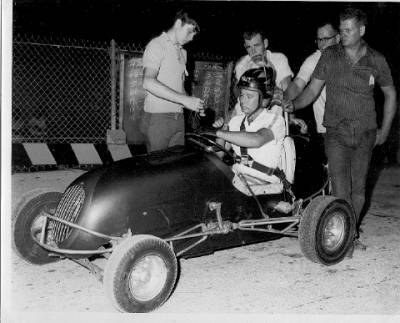 with a beard and a stripe on his shirt is the Infield Steward, Bob Manley, to the right of him is the Pit Steward, Red Howell, and the big guy on the right is Gene Barfield. 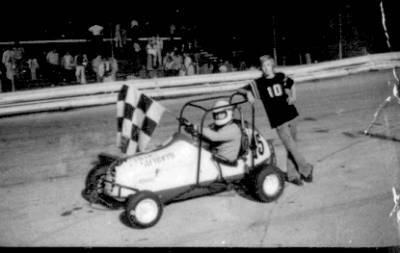 Oren Fields in the 8 Ball after one of his many feature wins. Here is a guy with an outstanding record at FCS, yet I only have a few pictures of him. 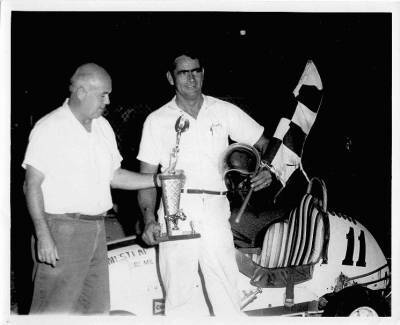 Walt Sizemore scored a win in March, 1967. Last time I saw Walt was just a few years ago when he towed a Sprint car from Texas to race with the Florida Sprint group, the TBARA. 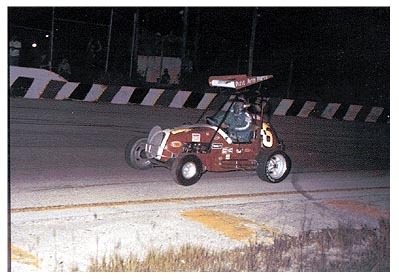 Once an open-wheel driver, always a open-wheel driver! The next week, and another win. Tonight, the starter is Ron Paquin, a TQ driver himself, and one of the guys who assisted in building the track. 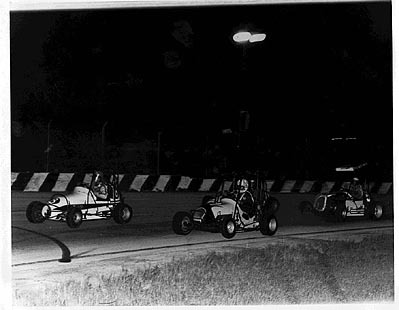 The Florida City TQ Midgets went to Hialeah Speedway on Aug. 19, 1978. 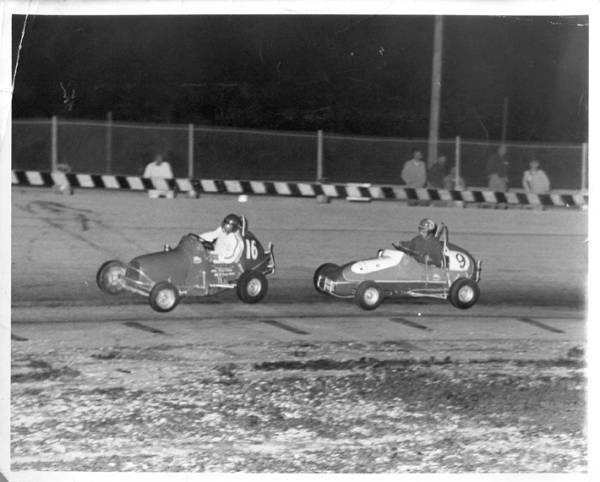 Frank Barfield is in the #9, Oren Fields is in the #8, Gene Barfield is driving the #6, and Brian Spinks is in the #17 old. 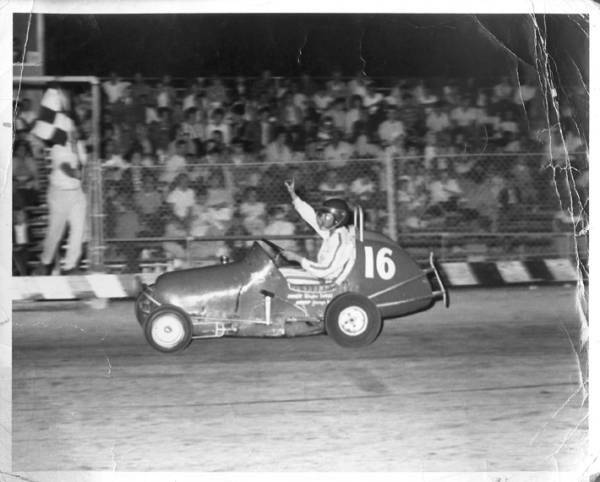 red roadster, which was driven at Florida City Speedway by Ralph Ross Sr. and Rich Benn. Another photo from Hialeah. Gene Barfield in the #6 lines up to go. 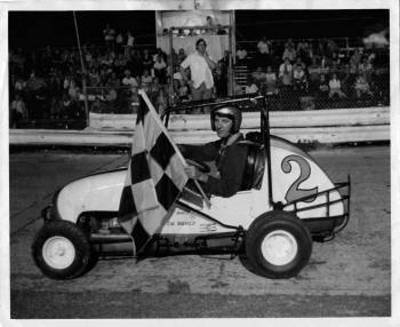 Gene was active in the construction of Florida City Speedway. Ralph Ross Jr. is one of the racing Rosses from Key Largo, FL. The team usually arrived with four cars driven by Ralph Sr. and his three sons, Ralph Jr., Gary, and former track champion Tony Ross. Another axle bites the dust! 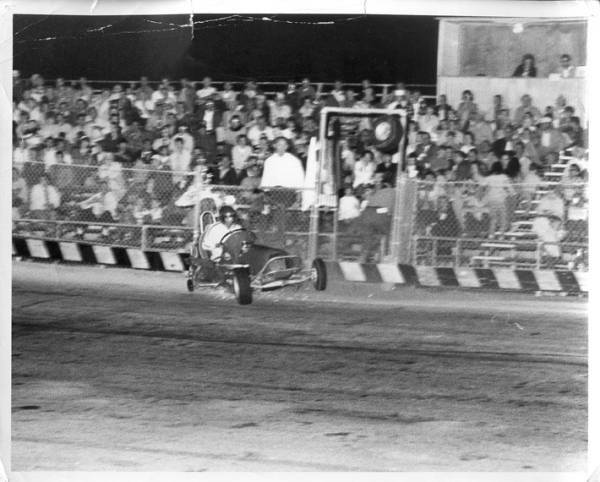 George DeWald backs it into the wall as his loose wheel bounces in front of the stands. Everything stayed together, and George had a much better night on April 22, 1967. 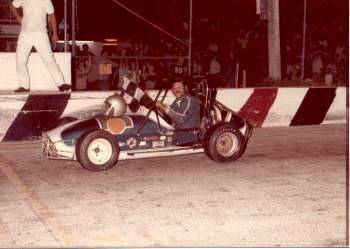 Brian Spinks parks his roadster TQ in victory lane at Hialeah on Aug. 19, 1978. 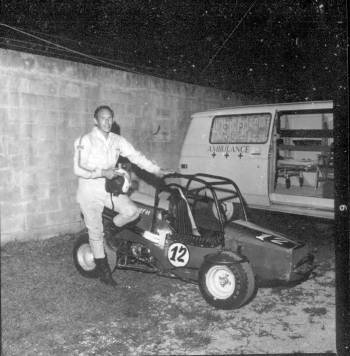 This was the car driven at FCS by Ralph Ross Sr., and even earlier by Rich Benn. 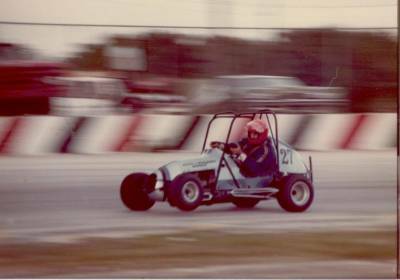 Bill Taylor 3 wheels his TQ at Hialeah. At my last contact, he was running a mini-sprint club in South Carolina. 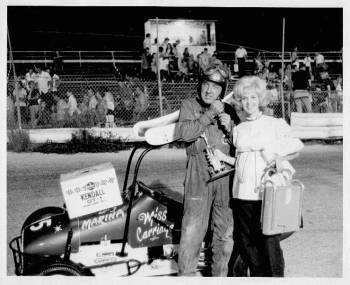 Gene Barfield was one of the tracks great supporters. 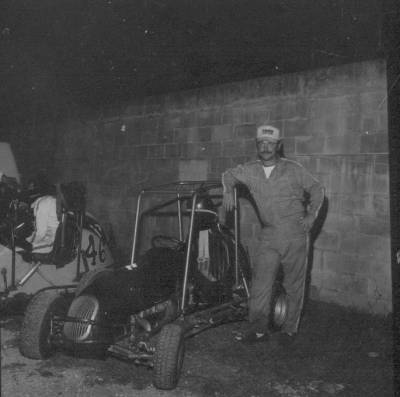 Along with his son Frank, the Barfields ran TQ's over the life span of the track. Gene owned a service station in Key Largo. One of the tracks officials/racers, Bob Manley warms up his TQ. 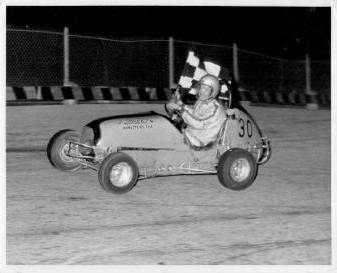 Bob also ran mini-stocks, and did stints as infield steward and pit steward. 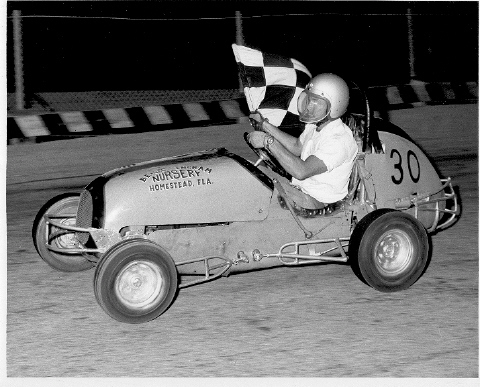 Warner Graham closes out a night with a feature win in Arnold Field's # 45. 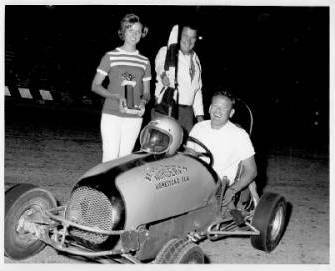 Warner and his wife Jo were part of the team that helped keep the gates of the track open in the mid 70's. Its a little blurry, but here is one of the 4 racing Rosses from Key Largo. 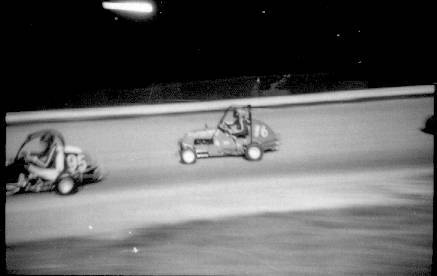 This is Gary in the # 16 at speed on May 5, 1973. 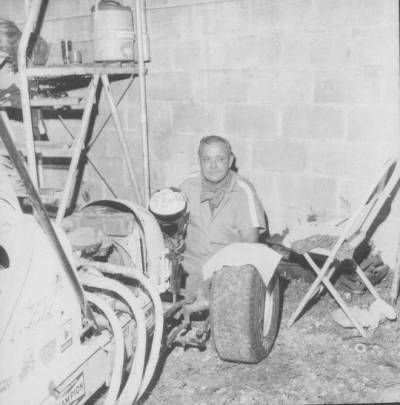 Larry Olson relaxes in the spacious luxury of the FCS pits. Remember, these pits were so small, the trucks and trailers had to stay outside in the parking lot! Walt Sizemore gets his game face on. Note the line-up board in the background.